The chest measurement is taken as a circumference measurement around your chest at the widest point. Stand in a relaxed posture and breathe out. The waist measurement is taken as a circumference measurement around your waist just above your belly button. Stand in a relaxed posture and breathe out. Place the tape measure on the centre back seam where it meets the collar. Measure down to the desired length. (in general, this measurements lies between 70-80cm depending on height and personal taste). The inseam is measured from the crotch along the inner side of the leg straight down to the floor. Stand upright, do not bend the leg and ask someone to help you take the measurement. Measure around your waist (where you normally wear your trousers). 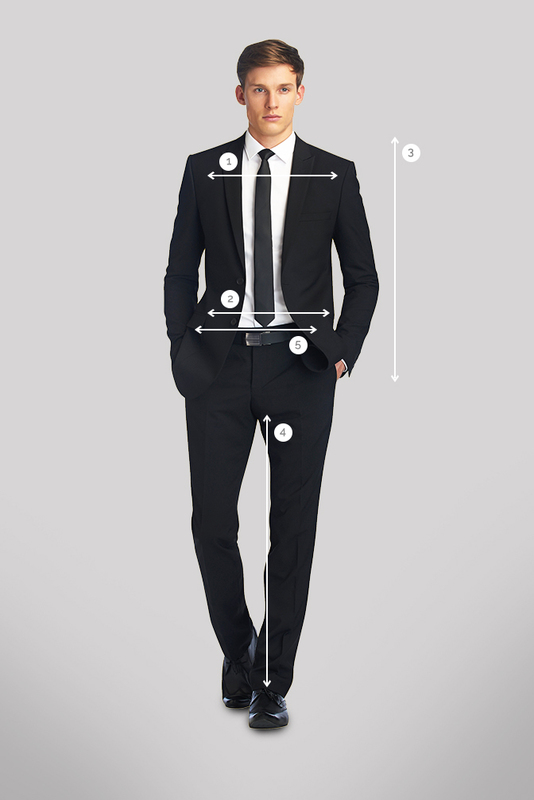 Measure your body not over a trouser. Place the tape measure on the centre back seam where it meets the collar. Measure down to the desired length. 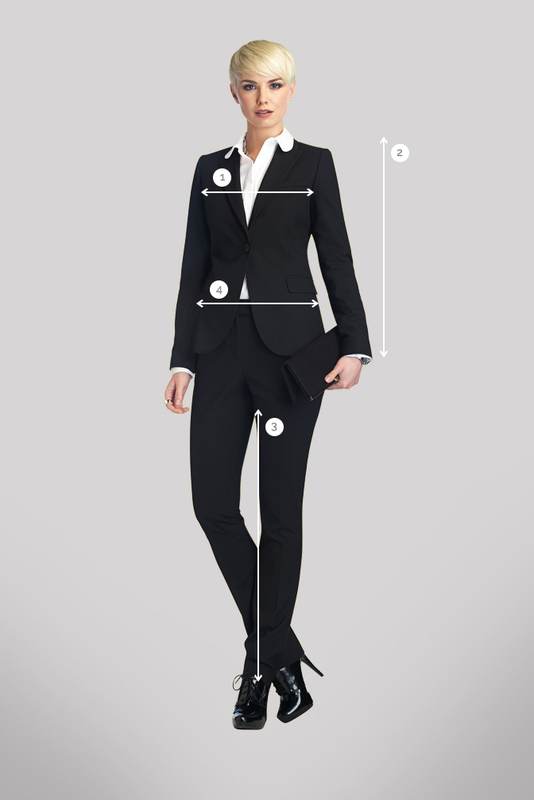 Take the measurement from the top of the inside leg seam and measure down the inside leg to the floor. Take measure where you would like the trousers to finish. If you have clothing you already love to wear, you can measure those.